A piece of green furniture for contemporary indoor spaces. 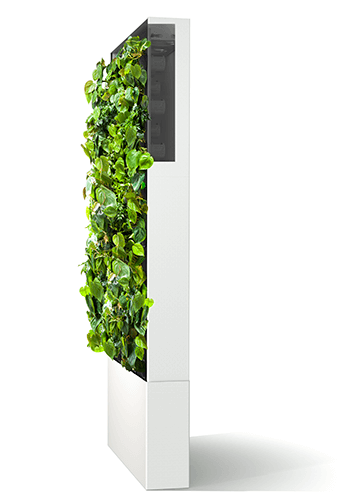 Naava has been proven to purify indoor air while taking care of itself, thanks to in-built smart technology. Hover the mouse over the numbers to find out how the technology works step by step. Click on the numbers to find out how the technology works step by step. 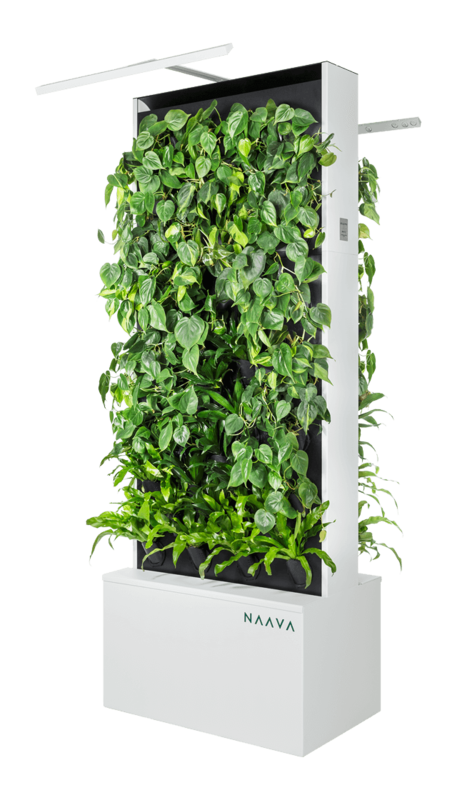 Naava's air purification efficiency has now been researched by three separate research facilities. According to the research conducted by the independent BRE research facility, Naava reduced up to 57% of a harmful chemical in indoor air in a single pass. 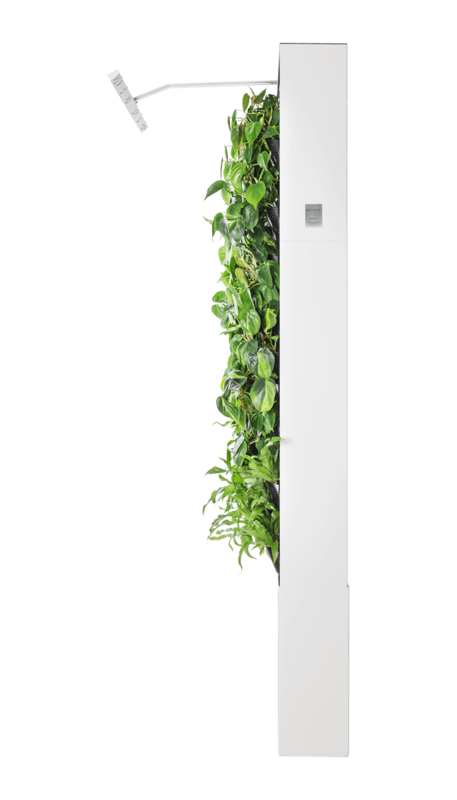 A joint study by the UEF and JYU found the air purification efficiency of a single simulated Naava biofilter with air circulation to be more efficient than that of a static potted houseplant. According to VTT's (Technical Research Center of Finland) study, Naava reduced up to 65% of the tested chemicals. 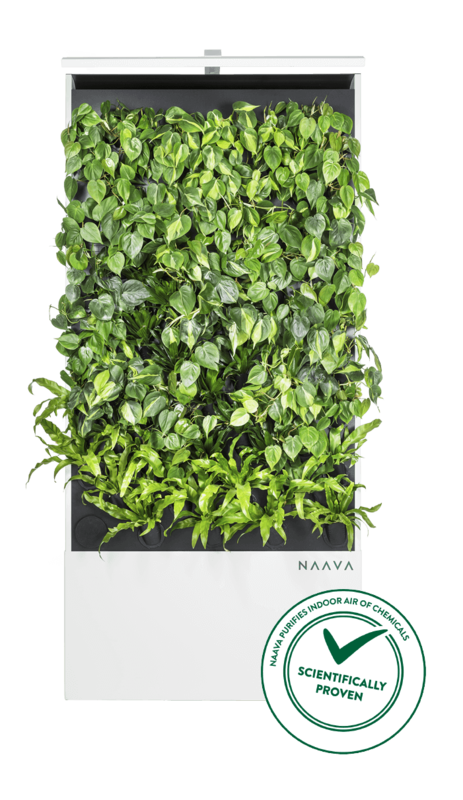 Naava is the only green wall in the world that has been researched to this extent. Our science team is continuously researching Naava’s effects together with our product development team and university-level, top research facilities. With the help of Naava models, fresh air and nature can be brought inside an entire office while catering to the unique features and changing needs of the space. We bring fresh air and the health and productivity enhancing effects of nature to everyone’s reach with an effortless monthly payment. Our top quality service includes both remote monitoring and regular maintenance which guarantee that Naava stays in optimal condition to work as it should. 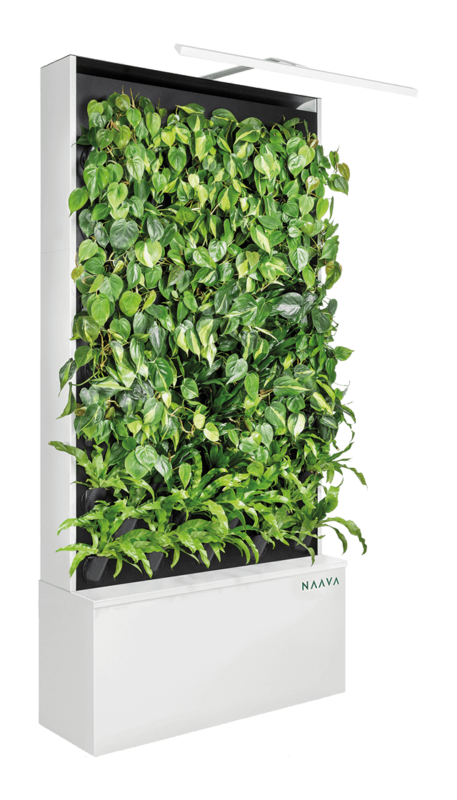 Naava combines the best of living green walls, acoustic elements, and air purifiers and humidifiers into one. Our Naava experts will help you find the best Naava solution to uniquely fit your premises. Tell us a bit about your needs and we will be in touch shortly.